Last night at Irving Plaza, Son Volt proved once again why they are the virtual mantle-carriers of the “no depression” movement of the 1990s. Fueled by the emergence of a superb new album American Central Dust, the band played an outstanding non-stop two-hour set which featured ten of the twelve tracks from the album along with material from the balance of their catalog (except no Straightaways material). The touring band features James Walbourne (Pernice Brothers, Pretenders) on guitar and pedal steel (he does not appear on the album), and his fervent guitar work provided multiple excellent solos during the evening. Of the new numbers, “Cocaine and Ashes” was a particularly strong performance, and along with the fan favorite “Windfall” and the old Waylon Jennings “Are You Sure Hank Done It This Way” were the highlights of the show. 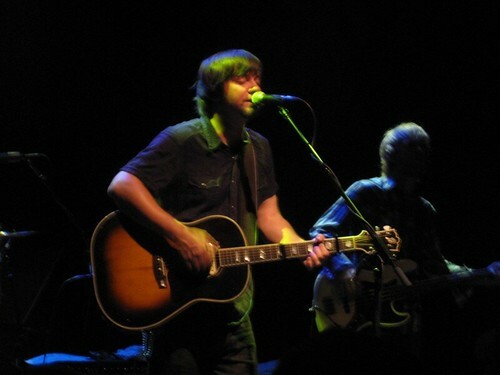 Despite his stoic stage reputation, Jay Farrar was engaging and talked to the crowd several times, including the dedication of “Big Sur” to ZZ Top. We recorded this set with the four microphones from the middle of the floor in the sweet spot for sound in this venue. Other than some annoying chatter near the microphones, this is an outstanding capture. Enjoy! 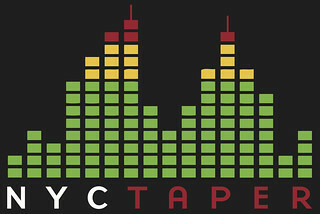 If you email nyctaper for access to this recording, we expect that you will PLEASE SUPPORT Son Volt, visit their website, visit their MySpace page, and purchase their official releases directly from the Jay Farrar Official Store [HERE]. That is Mark Spencer on Pedal Steel. Yes, the excellent Mark Spencer played pedal steel throughout the show. However, James also played pedal steel on about a half dozen songs, along with guitar on the rest.